In a 2014 Organic Trade Association survey of more than 1,200 households has shown that 8 out of 10 American families have bought organic products one or more times in the past 2 years. 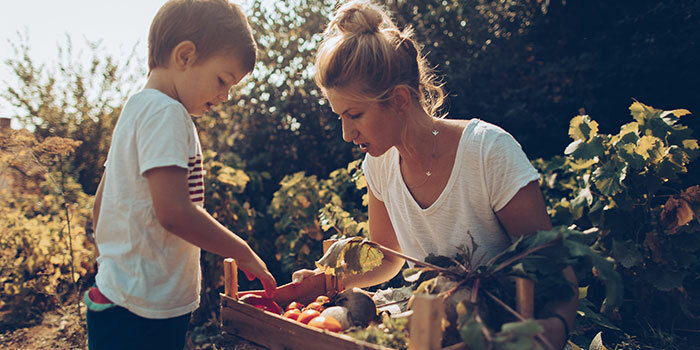 90% of the respondents said that they purchase organic food products for their children at least "sometimes", with almost 25% saying they "always buy organic" for their children. According to market research company Ecovia Intelligence, the worldwide market for organic products has reached over $119 billion Canadian dollars in 2016. The United States is leading the charge with $60 billion dollars, followed by Germany ($14.2 billion), France ($10 billion), and China ($8.8 billion). Let's look at the global trends and demands for organics closer. Following the United States, the EU represents the 2nd largest single market for organic products. In 2015, retail sales or organic products in Europe were $44.7 billion dollars. Statistics show that Germany has the largest market for organic food in Europe. However, findings from the Research Institute of Organic Agriculture FiBL show that Denmark has the highest organic share with 9.7% in the world, meaning that supermarkets in Denmark have the highest percentage of organic food in the world. Luxembourg came in 2nd place, followed by Switzerland, Sweden, and Austria. A study by the Research Institute of Organic FiBL showed that consumers in the EU spent $91 dollars per person on organic food. However, at $410 dollars per capita, the Swiss spent the most money on organic produce. Reports from the Canadian Organic Trade Association (COT) show that 66% of Canadians spend a portion of their weekly grocery budgets on organic items. Like Australia, the most common organic items purchased are fruits and vegetables, followed by meat, poultry, and dairy. Tia Loftsgard from the Canadian Organic Trade Association said in a statement "Canadians are demanding more and more variety in their organic purchases which is driving the market to keep up with this next generations' desire for more organic." The total value of the organic industry in Australia has grown by 88% since 2012, and according to the website In The Black, the consumer market is predicted to be worth over $2 billion dollars. 2 out of 3 Australian households say they have purchased organic products in the past year, and the most common organic items are fruit and vegetables, followed by an ever-increasing demand for organic eggs, dairy, red meat, and poultry. As reported by The Guardian, the sale of organic food and drink in the UK has increased 6% in 2017 to a record $3.7 billion dollars. Sales of organic products in supermarkets increased by 4.2% while independent stores such as health food stores and farmers' markets increased by 9.7%. It's not just food and drink items. UK consumers are also buying more organic items such as beauty products, which has increased by a whopping 24%. So, does your family buy organic?